Who remembers the photo of BTS Bus Stop in the album “You Never Walk Alone”? This iconic photo was taken in Jumunjin beach, whereby some scenes of Spring Day music video was filmed. 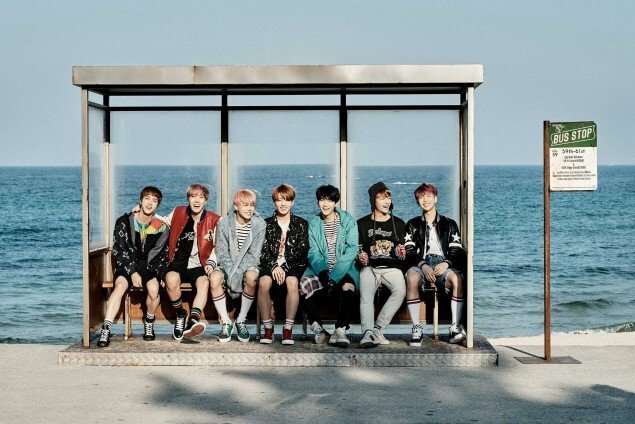 Gangneung city set up the BTS Bus Stop on Jumunjin beach, which is a photo zone to let visitors take a picture and enjoy the music of BTS. *Please note that this post is referred to the posting HERE. Credit to kangdbang.tistory.com. So how to visit BTS Bus Stop? Here is the information on how to go. Address and map are below. After getting off at the Jumunjin Bus Stop, then you will see the sign board to lead you to the BTS Bus Stop. After walk in Jumunjin Beach, you will spot the second sign board to show that BTS Bus Stop is 200m away from here. Ta-da! BTS Bus Stop is right over here! Ready to meet BTS Bus Stop in this Summer? 😀 Did you know that Jumunjin is the shooting location of the legendary drama “Goblin” Guardian: The Lonely and Great God (쓸쓸하고 찬란하神 – 도깨비) too? Check out the link below! We have added the location information in the post, please check out. Thank you!